My shop is an outbuilding constructed from cinder blocks. I suppose it has advantages, but a big disadvantage is that whenever you want to attach something to the wall it is difficult and time consuming. 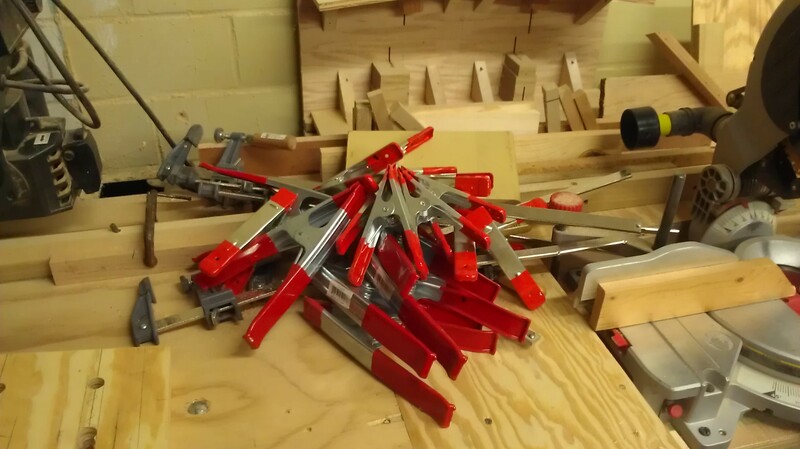 Over the last several weeks I have bought and built a significant amount of new clamps, and leaving them in piles, standing in corners, or hanging on heating pipes wasn’t going to cut it anymore. 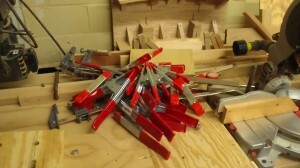 So the problem – lots of clamps and lots of cinder blocks. … but problem number 2 – clamp racks are top heavy and will cause the cleats to sag. The solution I came up with was attaching a large piece of plywood with a minimum number of screws – and lots of Liquid Nail – to the wall and modifying a French Cleat to include a bracket. The project I will be starting is building a wood front to my existing brick fireplace. What I am interested in is the type of wood strip and size needed to attach this strip to the brick and what kind of cleat is needed to attach the strip to the brick. My second question is what type of screw is needed to attach my wood front to the wood strip that would by definition also be screwed into the brick. Without knowing the type of wood front you intend to build I really can’t answer the question. 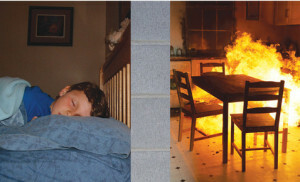 My guess is that if it is going to be something outside, you will want to use pressure treated wood to resist rotting. If is inside, I would assume that any wood will work granted that you evenly distribute the load. With a french cleat system you can really make them as big or as small as you want, the key is cutting two 45-degree angles and attach one strip to the wall and the other to the project and it will hang when cradled together.